More than 50 partners now avail of Program’s benefits to accelerate launch of their HTML5 Apps on millions of Connected TV devices. Opera TV today announced that its Opera TV Certification Program has gained significant momentum since launching just 3 months ago in September 2016. The program, which accelerates the launch of over-the-top (OTT) services to multiple platforms and devices, now has more than 50 content service providers signed up. Participation in the program enables participants to easily develop and deploy the same HTML5 applications across Opera TV’s certified platforms and devices. Driving this momentum is the extensive reach of Opera TV’s ecosystem, shipping on more than 40 million new connected TV devices every year, making it the world’s largest unified platform for connected TV devices. The Opera TV Certification Program provides one coherent approach for HTML5-based devices that is market-ready at the silicon level. In its first three months, large content service provider partners like iHeartRadio, FandangoNOW, Home Shopping Network (HSN), Deezer, Radioline, IPLA, The Economist, Flix Premiere and Claro video are participating in the program. Additionally, the certification program offers a rich set of tools and development support to developers including simple-to-use developer tools and access to a global support team of experts in Europe, North America and Asia. Since its official introduction, new features have been added to the program, including an updated emulator. Unlike individual OEM or operator platforms, the Opera TV platform evolves quickly to keep pace with market requirements, supporting the complex needs of demanding OTT services. Opera TV evolves quickly to keep pace with market requirements, supporting the complex needs of demanding OTT services. Through the program, certified apps can be distributed through Opera TV partners, which include consumer electronic device manufacturers as well as the fast-growing pay-TV and free-to-air operators. 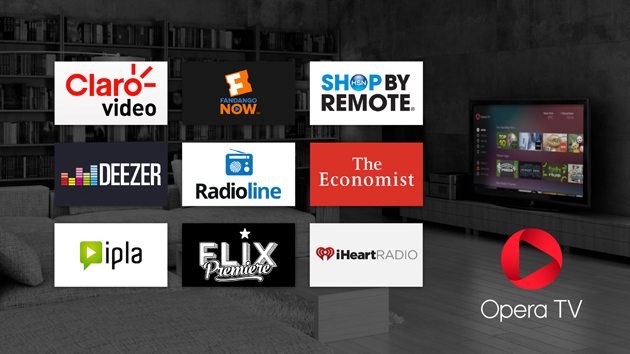 Devices that have passed through the Opera TV Certification Program, along with any devices that utilize the Opera TV platform, will have access to the Opera TV Store, an OTT experience for consumers, brings more than 1,000 apps to major OEM brands and pay-TV operators. For a full list of certified applications, please contact the Opera TV team. For more information on the Opera TV Certification Program or to start the process, please visit http://www.operasoftware.com/campaign/certification-program. CES 2017 attendees can experience a demonstration of the latest technology from Opera TV at the Opera TV booth (South Hall 2 Meeting Place # 25270) at the Las Vegas Convention Center January 5 – 8, 2017.